Personality: Elenor is fond of quidditch. She has great skills at quidditch, as it's one of her likes. She is a french darling. She doesn't mind homework, but she hates Divination, one of her worst subjects. Her worst dislike is Slytherin. History: Elenor was born in Paris, and she lived with her mother.. because her father lived in London. On one paticular day, on Christmas. Elenor was invited to Hogwarts, the same time as she was invited for tea at her fathers house. It was much easier, because she could take the bus from the Leaky Cauldron. The third time she went to hogwarts, she tried for the Quidditch Team. She became one of the Gryffindor Chasers. Now, its her fourth year at hogwarts and she is looking forward to her next game. Appearance: She has a mop of blonde hair, that she hardly straightens, she has navy blue eyes, with a small button nose. He] r warm smile reflects to her father's nose. Her clothes are in the Gryffindor Main colours. She wears a yellow sleevles top, that has a pattern of a crown on it, followed by a red sleevles jacket, that hardly keeps her warm. Some black leggins, not school uniform.. And some sneakers from last year. Wand: She has an Oak Wand, with strands of horse hair on the core. The length is about 1ft. [i]As I strut through the giant doors of Hogwarts, and I look at the moving pictures. They say to me ''Welcome back, Miss Decalour''. 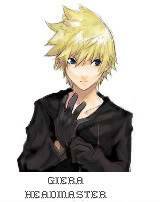 I start to smile at the pictures as I move on to try and find Giera, the head. I watch the other students, holding their wands and practicing their charms. ''Bonjure chacun''. meaning 'Hello everyone'. As I approach the moving staircase, and I see Kalina, one of my friends. ''Bonjure Kalina!''. I say to her happily. It was good to be back at hogwarts, once again. Sorry but the 4th year starting positions are closed. Please choose another year.